HARMONY Gold said it has lost up to 10 days production – equal to about 150kg (52,000 ounces) – at its Kusasalethu mine, west of Johannesburg, following the refusal of employees to return to work. The Johannesburg-listed company said the stay-away, which was in defiance of a court order granted on March 31, had put the Kusasalethu’s future in jeopardy. Assuming a current rand gold price of R542,000/kg, the cost of the industrial action was just over R81m in revenue. (The rand has depreciated about 8% in the last 10 days). 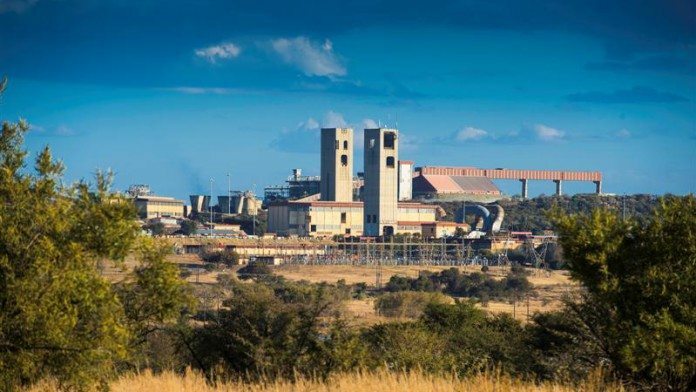 Harmony said on March 24 that it believed the strike had been brought to an end following discussions between its senior management and the leadership of the Association of Mineworkers and Construction Union (AMCU), the union that called the strike. “I am pleased that the matter has been resolved and that operations at Kusasalethu will return to normality,” said Peter Steenkamp, CEO of Harmony Gold in a statement. “Today the parties demonstrated that they are willing and able to put their differences aside in the best interests of our employees and their families,” he added. Those sentiments were misplaced, however, with Harmony reporting today that unprotected industrial action had continued even after approaching the Labour Court which granted it an interdict on March 31 declaring AMCU’s activity as illegal. Harmony said no employees had reported for work over the weekend or today, adding that it had issued an ultimatum to employees to return to work tomorrow night (April 4), failing which they could face disciplinary action. It said between seven to 10 days of gold production have been lost since March 21 at a rate of 15kg of gold production per day. Security measures at the mine had also been increased to address complaints of intimidation and potential violence. “Continuing with unprotected industrial action poses a real threat to the continued viability of the Kusasalethu mine,” said Steenkamp in a statement today. “Given the history of this mine and the serious impact that continued production interruptions could have on the lives of our employees and their families, we call on AMCU to show responsible leadership,” he added. Kusasalethu produces about 13% of Harmony Gold’s total one million to 1.1 million ounces a year in production, and generates 10% of total cash flow. The current dispute at the mine has its roots in an underground sit-in in January by about 40 employees who were protesting against non-payment of a bonus and the removal of a senior manager at the mine. At the time, Harmony said it would launch an independent investigation to establish how communication with the employees had broken down. The bonus in question was at the discretion of the CEO, Peter Steenkamp and related to production targets. Objecting to the disciplinary proceedings against the 40 miners, AMCU called a go-slow, observed by about three-quarters of the workforce. Harmony responded by suspending AMCU branch leadership which then led to the strike in March. Piet Steenkamp, as I said before, close this sorry excuse for a gold mine, shut it down and cut your losses. As a result of a decade of poor management, these employees are now all criminals with no respect for the law. They feel entitled to do whatever they want. When you reopen the mine in 5 years or so, ensure you do not sign on one single employee currently employed at Elandsrand. Oh, and remember to “pull” all of the illegal miners out from underground before you finally stop the winders otherwise the Proto will have to go and collect the bodies later on. Proto time is expensive, you know…. but only if their leaders are present. Comment:I AGREE WITH THAT PERSON BECAUSE MOST OF US WANT TO PROCEED TO WORK BUT THE SITUATION IN THIS MINE IS NOT SAFE FOR THOSE WHO WANTS TO GO TO WORK ,TRY TO SOLVE THIS PROBLEM IN ANOTHER WAY AND LET PEOPLE TO WORK FOR THE SAKE OF OUR WORK. Comment: Please Mr Steenkamp bring our leaders back. We can’t work without them. And solve the problem between the management of Kusasalethu and Amcu Union leaders. Let management respect the employees ane we’ll do so! From Mpho.